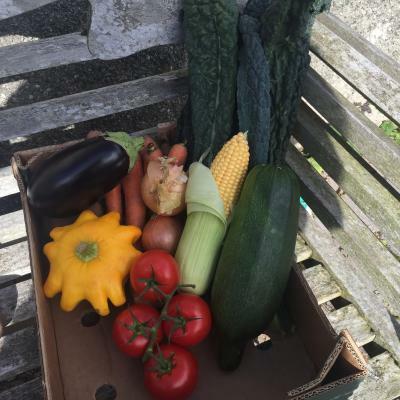 Our Medium Veg Box with No Potatoes is just the box for you to cook for 2-4 people for a few days each week. This box is ideal if you grow your own potatoes or simply don’t use them at all. You will find an amazing variety of produce in this box every week. You'll receive Carrots & Onions in your bag each time and then another five vegetable varieties which we try to change week-to-week (to try to avoid you getting bundles of Beetroot or piles of Parsnip!). We use mainly in-season vegetables in this box and the varieties you receive will change slowly throughout the year.